As a 16-year-old trombonist of Dover High School Band, Brian Botdorf started performing with the Lew Woods Big Band and the Dover Concert Band (now the Dominic Greco Band). While in high school, he co-founded the Jericho Big Band. After high school, he directed Jericho for another 10 years until the group disbanded in 1986. He has also performed with the Heidelberg Brass Band, the Andy Chatterelli Band, Bobby Nelson Big Band, and was a member of the Stan Sterner Big Band for over 30 years. He performed with an adult trombone ensemble in the greater Cincinnati area called the Bones of Cincinnatus for 12 years. Botdorf finished 35 years of teaching as director of bands at Lakota Ridge Junior School near Cincinnati in West Chester, Ohio. At Ridge, he directed four 7th grade bands, two 8th grade bands, a 7th grade jazz band and 8th grade jazz band. In 2008, the Lakota Ridge 8th Grade Jazz Band performed at the Ohio Music Education Association's Professional Conference in Cincinnati. In the spring of 2002, Brian Botdorf organized the Lakota Trombone Ensemble for trombone students in Lakota East and Lakota West High Schools. In the 13 years under his direction, the Lakota Trombone Ensemble performed at local jazz festivals and concerts, including the Ohio Music Education Association's Professional Conference in Cincinnati in 2011. In 2015, the annual spring Trombone Extravaganza Concert, which featured the Lakota Trombone Ensemble and the Bones of Cincinnatus, had over 100 trombonists on stage for the grand finale. 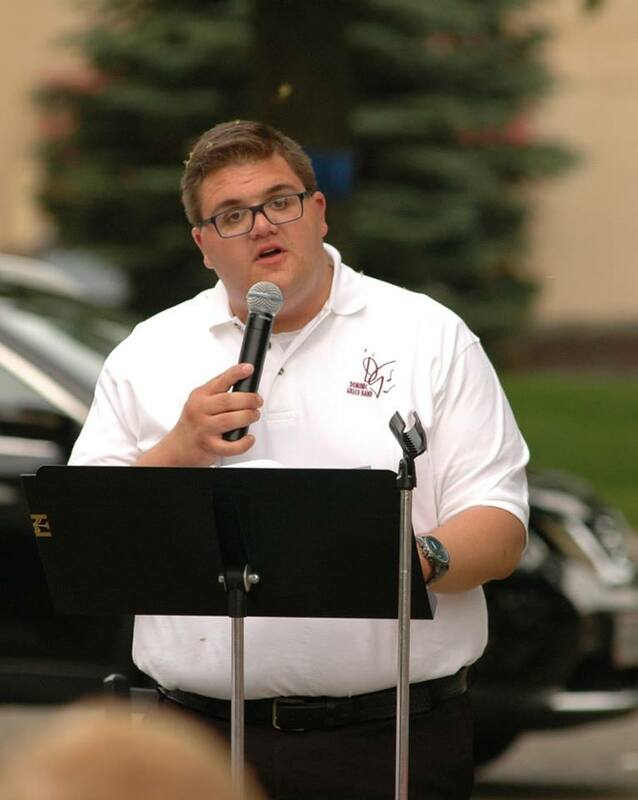 Brian Botdorf began his tenure at the Lakota Local Schools in 2001 as a jazz instructor at Lakota East High School and a band director at Freedom, Hopewell, Independence, and Woodland Elementary schools; as well as an assistant instructor for the Lakota West High School Firebird Marching Band. Prior to the Lakota Schools, Brian Botdorf was an assistant director at Clearview Local Schools in Lorain, the director of bands at North Baltimore Local Schools, and the director of bands at Willard City Schools. While at Willard City Schools, the marching band performed at the McDonald’s Christmas Parade in Chicago, the Blossom Festival Parade in Niagara Falls, Canada, and the Indy 500 Parade in Indianapolis. He holds a Bachelor’s degree in music education from Bowling Green State University and a Master’s degree from Ashland University in education. His professional associations include the Ohio Music Education Association, Music Educators National Conference, and the International Trombone Association. Brian Botdorf has a trombone/baritone studio that has produced many district and state honor musicians. He resides in Dover with his wife, Susan. Their daughter, Brooke, resides in Berlin Heights, Ohio, with husband Andrew and children Zach and Luke. 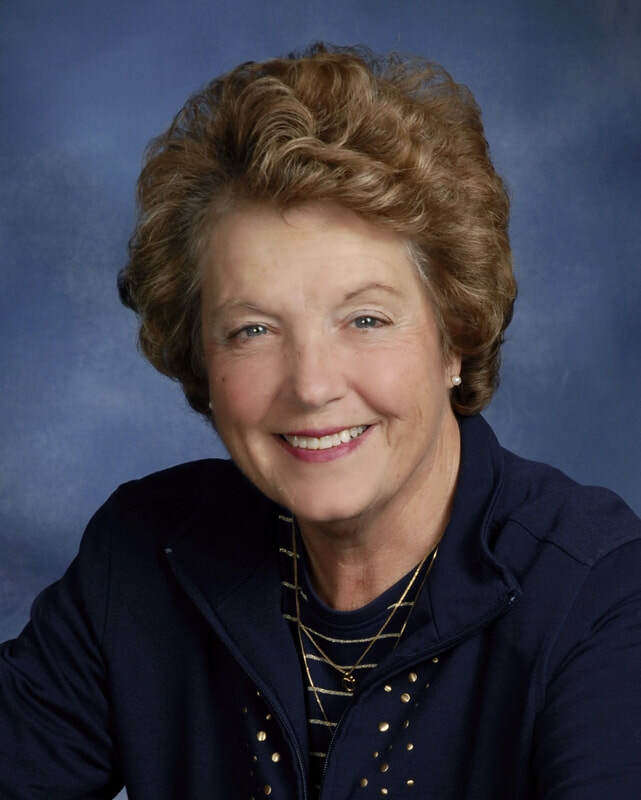 Cheryl Graham is the former director of bands at New Philadelphia and Ridgewood High Schools, from 1969 to 2001. Currently, Cheryl teaches K-5 vocal music at Central and South Elementary where she reintroduced school musicals and Veteran’s Day programs. Cheryl Graham provides opportunities for community involvement by performing at the Senior Center, Christmas Parade, Community Tree Lighting Service, and Christmas in the Park. She is the co-director with her husband, Bill, of the Big, Bad, Bodacious Brass Band, a low brass choir that performs at area churches and community events. Cheryl plays French horn in the Kent Stark Band and the Dominic Greco Band. Cheryl Graham adjudicates all areas of marching band as well as large group and solo and ensemble events. Under her direction, the Marching Quakers received three Bands of America national titles, numerous BOA regional championships, as well as years of OMEA superior ratings. Cheryl was the general effect caption head for OMEA marching adjudication from 2012-2014. Cheryl is a 1965 graduate of Parma Valley Forge High School and a 1969 graduate of Muskingum University with a Bachelor of Music Education degree. She received a Master’s in Music Education from The University of Akron. In 2011, Cheryl Graham received the Outstanding Alumnus of Music Award from the University of Akron. Her most important award has been the opportunity to touch the lives of children for 49 years. April Linard received her Master’s in music education from Kent State University and her Bachelor’s in Music Education from Malone University. 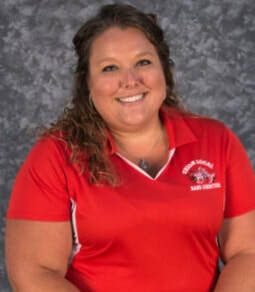 She began her teaching career as a long-term substitute teacher in 2005 for Claymont City Schools until 2006 where she was hired as the current band director at Union Local Schools in Belmont, Ohio. In addition to teaching band for all grades 5-12, she also teaches general music and theatre. April is a member of the National Association for Music Education and the Ohio Music Educators Association. April has played trumpet for over 25 years and was raised in a musical home where both parents encouraged her to pursue her passion of music. She has played for multiple parades, wedding receptions and churches across Ohio including her home church where she has also served as choir director. April is a member of the Dominic Greco Memorial band where she has been a featured soloist, first trumpet player and director. She is also a member of the Jericho Big Band playing trumpet & vocals and has filled in for the Tuscarawas Philharmonic and Canton Community Band. She is currently in her 12th year as the Director of Bands at Union Local Schools in Belmont, OH where she has lead the marching band to OMEA State Finals in 2016 for the first time in school history and then again in 2017. She was selected to direct the Ohio Valley Athletic Conference All Star Marching Band in 2009 and has had multiple students chosen to participate in the Macy’s Great American Marching Band in New York City for the past four years. Many people have influenced April’s musical career but gives the most credit to her parents, Mark & Lori, her high school band director Doug Wagner, her college band director Neal McMullian, trumpet professor Chris Hall and her very close friends Bill & Cheryl Graham. Steve Stroup received his Bachelor in Music Education from the University of Colorado in Boulder. He completed thirty-four years of teaching retiring in 2010. Most recently he was the band director at Dover High School for twenty-four years. Under his leadership the Dover Band performed at major college bowl games, parades, and professional athletic events, in addition to having performed numerous times at Walt Disney World in Orlando, Florida. Stroup taught band, music theory and music appreciation at the high school and assisted with instrumental sectionals at the middle school. Previous to coming to Dover he taught at Green High School, Strasburg High School, McKinley High School, and Lakewood Junior High (Lakewood Colorado). Stroup served as state President for the Ohio Music Education Association (2002-2004), which boasts over 5,000 active music teachers and collegiate members. He served as President of Da Capo (2009-2010) consisting of all the past presidents of OMEA. 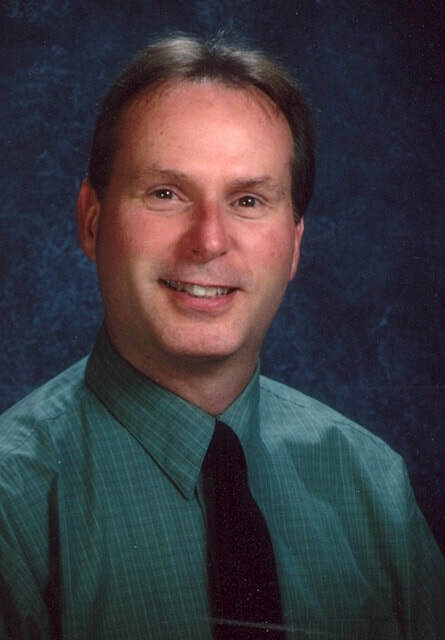 In addition he held other positions to include OMEA’s President Elect (2000-2002), State Treasurer (1996-1998), and District 8 President (1994-1996), and served music education as a brass adjudicator and guest conductor for honor bands. 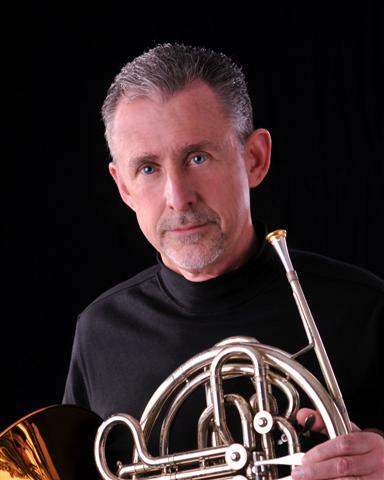 Stroup is an accomplished horn player and has been a member of local orchestras and bands for over thirty years. He was raised in a musical home where both parents were trained musicians and encouraged him to pursue his passion. Now retired, he has been able to once again focus on practicing the horn on a daily basis. He is principal horn of the Tuscarawas Philharmonic Orchestra as well as the Dominic Greco Memorial Band. He is now employed as a sales representative for Don Lazar Music Services in Canton, Ohio. Don Lazar has had an active role in instrumental music programs in Ohio by providing the very best in prices, product lines, service a full repair shop and has been in business for over forty years. Currently Steve is a resident of New Philadelphia where he lives with his wife, Sallie. They have two adult sons, Adam and Aaron. When not playing with the Greco Band, Steve and Sallie like to explore new places in their 1977 MGB. Ron Barkett, baritone, received his Bachelor’s degree in Voice Performance from Baldwin-Wallace College Conservatory of Music at Berea, and Teacher Certification from Malone College at Canton. He studied voice with Mel Hakola. 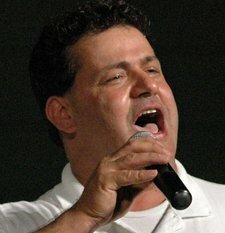 He has been a soloist with the Dominic Greco Band since it reformed in 2001, singing many different styles including opera, patriotic, jazz and pop. Ron has performed as baritone soloist with the Tuscarawas Philharmonic many times, as well as the Summit Choral Society of Akron, Franciscan University in Steubenville, Baldwin Wallace College in Berea, and Mount Union College in Alliance. Ron is also a member of the Tubafours, a Tuba quartet that performs in the area. Since 1983 has been director of choirs at the First United Methodist Church of Dover directing chancel, handbell and brass choirs and a youth praise band. He has directed their annual Sacred Music Festival and teaches private voice lessons there. Ron takes great pride in the fact that several of his former students are currently music educators. In 2015, Ron’s family business, Barkett Fruit Company merged with Atlantic Foods in Canton. Ron works there in accounting. A life-long resident of Dover, he has three adult children, Anthony, Mark and Maria, and two grandchildren. Michael Roberts has been the announcer for the Dominic Greco Band since 2014. He is currently the Director of Communication and host on the Living Bread Radio Network, the largest Catholic Radio station in the State of Ohio. For 7 years, Michael was a popular announcer in the Valley, and in October 2016 was named Tuscarawas County’s favorite radio personality. Raised in Dover, Michael graduated from Tuscarawas Central Catholic High School. He holds a Bachelor’s Degree in Applied Communication from Kent State University. He now resides in Jackson Township. Michael is a member of St. Mary’s Catholic Church in Massillon where he is a cantor and member of the traditional choir. During Director Frederick Delphia's annual recap of the season, he announced he is retiring from the band. Fred will truly be missed for his professionalism and dedication to the band, its musicians, and community. Enjoy retirement!